From Lake Erie to Ohio’s Amish area, the bike trails in Ohio offer an amazing variety for cyclist of all levels. But when it comes to the greatest bike paths in the state, Ohio’s Rails-to-Trails stand out among the rest. Bike your way through Ohio on the amazing network of Rails-to-Trails, and while you’re in Amish Country, take your time to enjoy the best of the area! 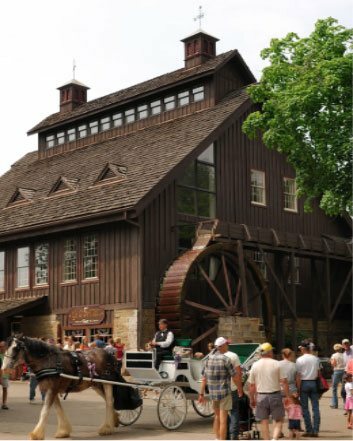 Download our free Amish Country Vacation Guide to find recommendations on parks, recreation, events, dining, and things to do during your trip! Rails-to-Trails is a conservancy program that turns former rail lines into recreational trails. The nonprofit organization, Rails-to-Trails Conservancy, dedicates itself to creating nationwide networks of trails, that in turn, create happy and healthy communities. They are responsible for over 30,000 miles of multi-use trails, and one of them is just a stones throw away in Holmes County! The Holmes County Trail runs through the heart of Ohio’s Amish area. It is a 15.7 mile-long multi-use trail. Interestingly, it is also the first recreational trail in the country designed for accommodating Amish buggies. It is paved and relatively flat with plenty of tree coverage. You will enjoy picturesque scenery, including views of wetlands, a restored historic train depot, swamplands, and beautiful wildlife. Many species of birds call this trail home, making it a paradise for birders as well! Picnic tables, restrooms, and information posts are available frequently throughout the trail. Share the road! You will see horseback riding, Amish buggies, biking, inline skating, and walking on this trail. After a day of riding, you’ll likely be hungry! 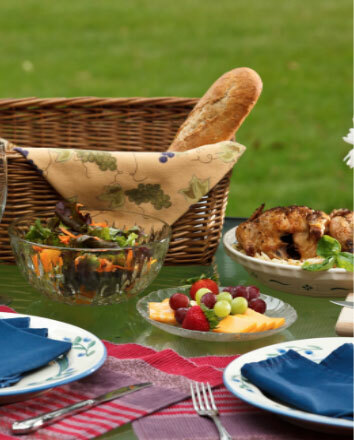 Our dinner basket add-on is a fantastic compliment to a day well spent in the great outdoors. 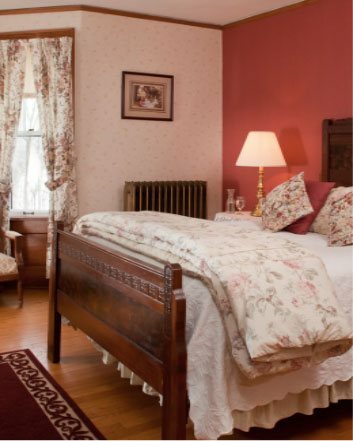 For those who want to enjoy the great outdoors, the White Oak Inn is the perfect place to stay! Less than a 10 minute drive away, you will find the Kokosing Gap Trail and Mohican Valley Trail. As a bonus, The Mohican Valley Trail connects directly to the Holmes County Trail at Millersburg! After an exhilarating day of biking through Ohio’s Amish Country, head home to our bed and breakfast for relaxing evening in the peaceful countryside. Whether you are planning a friends getaway or a mini vacation, our packages and specials are the perfect way to enjoy the best of what our inn and the area offers! In the quietest corner of the inn’s second floor, The Maple Room is a cozy corner room that overlooks the shade garden in the backyard. This room features one queen bed, a private bathroom with shower, and countless special amenities! All guests enjoy complimentary snacks and beverages 24 hours a day, daily country breakfast, and more. Check our availability today! 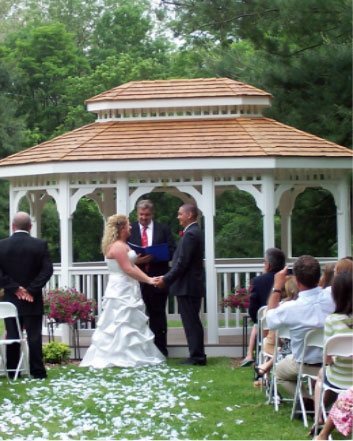 We can’t wait to host you at the White Oak Inn! Remember to download your free Amish Country Vacation Guide to find more great outdoor adventure like Ohio’s Rails-to-Trails! Rebecca’s Bistro and What You Need to Know — Where are the Best Places for Horseback Riding in Ohio?